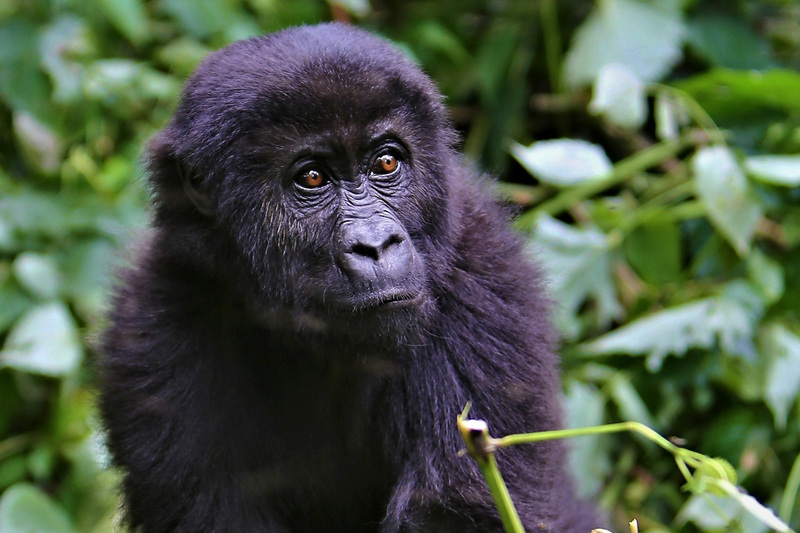 Tell the Congress: Protect wildlife and keep armed groups out of DRC mines! The Administration is considering rolling back a corporate reporting rule that helps protect wildlife like critically endangered Grauer's gorillas from illegal hunting by keeping arms and ammunitions out of mines. And now, Congress could repeal the law that requires the Administration to take action to improve transparency around conflict minerals and help protect the people and wildlife harmed by unregulated and illegal mining in the Democratic Republic of the Congo (DRC). Conflict mineral transparency requirements help shine a light on the process that produces the phones, computers, jewelry, and other everyday purchases U.S. consumers make. Maintaining U.S. transparency requirements help improve conditions at mining sites for the communities and wildlife that live near them. So far, the evidence shows that the rule is making a difference and weapons and violence are being eliminated from more mining sites in the DRC. We need a huge outcry to save the rule and help protect gorillas: tell your Member of Congress to oppose efforts to repeal the conflict minerals rule before it's too late! Your message will have more impact with a personal touch – feel free to customize the letter below before sending! As a supporter of the Wildlife Conservation Society (WCS), I'm writing to urge you to oppose the repeal of Dodd-Frank Section 1502, which has been included in H.R. 10, the Financial CHOICE Act of 2017. Dodd-Frank Section 1502 has been instrumental in improving transparency in the trade of conflict minerals, including through the Securities and Exchange Commission's (SEC) Conflict Minerals Rule, which was finalized in 2012. U.S. efforts are helping to address the humanitarian, national security, and environmental impacts of unregulated and illegal mining of conflict minerals in the Democratic Republic of Congo (DRC) and adjoining countries. Armed groups in DRC and in other countries are using conflict minerals to finance criminal activities and also often engage in human right violations, including forced child labor. Unregulated mining in the Democratic Republic of the Congo (DRC) and surrounding region poses a substantial threat to great apes and other species of endangered wildlife, as armed groups operating at mines inside and around the country's national parks have destroyed critical habitat and caused the killing of endangered wildlife like the Grauer's gorilla -- the biggest great ape on the planet -- and many other animals to feed miners. Great apes are also vulnerable to diseases that result from being in close proximity to workers living in unsanitary conditions. A recent study from WCS and partners with support from the U.S. government shows that the Grauer's gorilla population in DRC has declined by 80%, and this gorilla was recently listed as critically endangered on the IUCN Red List due to this substantial decline. Dodd-Frank Section 1502 and the SEC's Conflict Minerals Rule have been critical to improving the situation on the ground in DRC by promoting the rule of law, increasing stability in the region, and reducing pressure on endangered wildlife. I urge you to oppose a repeal or weakening of Dodd-Frank Section 1502, the SEC's Conflict Minerals Rule, or other steps being taken by the U.S. to improve transparency in the conflict mineral supply chain.